Who does the Horde call upon in times of need? What army is primed and ready on a moment’s notice, ready to fight demons, eldritch horrors, murlocs, or the Alliance pigs? The answer to that is the Borrowed Time mercenary company, of course. If they can afford us. Stationed in the newly-retaken base of Dragonmaw Port, we await the call to battle for the glorious Horde. United through the promise of freedom, coin, and family; that is what brings us together in Borrowed Time. We are a family of soldiers, thugs, assassins, scientists, tinkerers, crazies and vagabonds; and may the Spirits help whoever fucks with us or our own. Three simple words exemplify our beliefs, but they are no battle cry, no sermon to preach to the heavens, they are but words to live by. 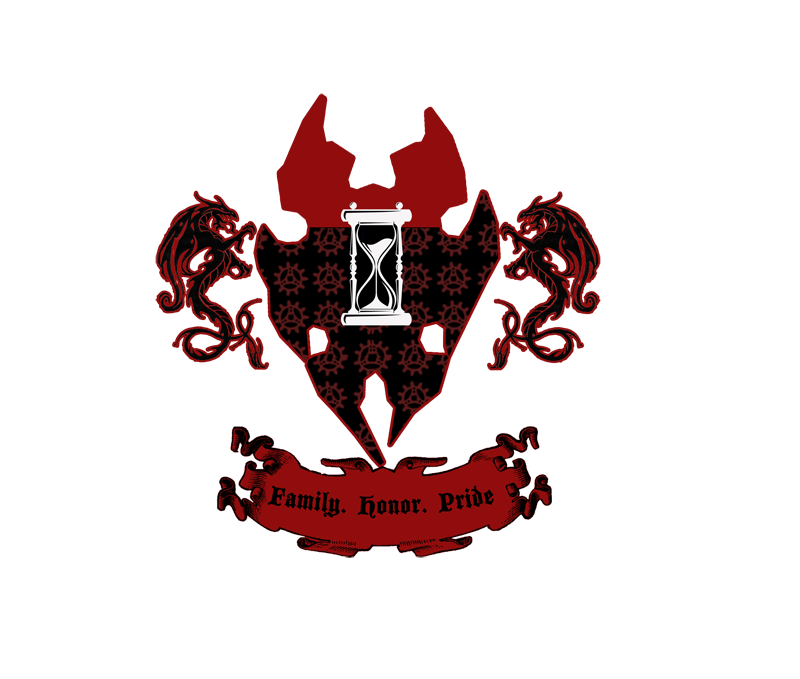 A Horde-side guild that has been revived thanks to the efforts of several players, Borrowed Time is a relaxed, friendly atmosphere for those who wish for heavy or light RP. As mercenaries, Borrowed Time offers a more chaotic alignment than other organizations, embodying their emphasis on freedom. BT is also a home for players wishing to tip their toes into TN/RH Horde RP, and we even have OOC slots if you wish to peruse around and get a feel for the community. We are but a part of the greater whole of the Horde-side RP community, and work with them often for Events, PvP, and general aid. Whilst we are laid back, we do have some guidelines for being a part of the guild. Characters – Whilst we are mostly a chaotic good/neutral guild, we do not solidify those traits within our characters and welcome anyone who would feel would fit into BT, within reason. For example, a character who goes around blowing up orphanages or eats Horde races would be quickly receive the veto.  They exist within the standard Warcraft Canon. WPvP – World PvP and ganking is up to the character themselves on how to proceed, we only ask that characters involved are dissuaded from camping or griefing of low level characters. Unless you know the player on the opposite faction and want to torment them, that’s perfectly fine. Conduct – The standard common sense rules apply; we are a mature group of people who try to let our members express themselves as they see fit to. However, this does not extend to insulting or derogative remarks, we expect those within the guild to act with integrity OOC-wise and respect each other and our fellow RP’ers of TN/RH. o The head of the company, the Boss oversees and operates the guild as a whole, making decisions that could impact the whole of the company. His personalized guard, the Deadshots, are under the Boss’s direct control and enforce his will. o The overseers of various wings of the company’s specialized forces, the Chiefs are the Boss’ right hand men and natural leaders. The Ravenflight, led by Faelenor, are a collective of spies, scouts, and assassins who specialize in black ops. Meanwhile, Amalyn leads the supporting staff and administrative duties of Dragon's Roost Port; which frequently oversees logistics and focus upon the civilian aspect of the base such as workers, merchants, medical staff and the like. Megeda is our Chief of Security, leading the frontline guardsmen and maintaining the defensive parameters of our home as well. o Though they are not leaders, they command the same respect and authority as the Chiefs, and are the most trusted individuals of the company. o Trusted employees who have served the company with pride, and are privy to higher standards and rights granted to them for their service. o The rank reserved for new initiates and recruits.